Few people live their dreams. Tristan is one of those people that realized what he loved and was passionate about from an early age, and never looked back. His mother still has a good luck card Tristan wrote age-7, in it he wishes her to have a "sharky time" and signs off "lots of love your sharky son Tristan". This almost innate passion for sharks and genuine intrigue and fascination of wanting to know why animals do what they do is what motivates and drives Tristan today. This website provides a platform to share Tristan's productive research career, highlighting conservation success stories, as well showcasing his ability to translate science to entertaining, yet informative cinema. 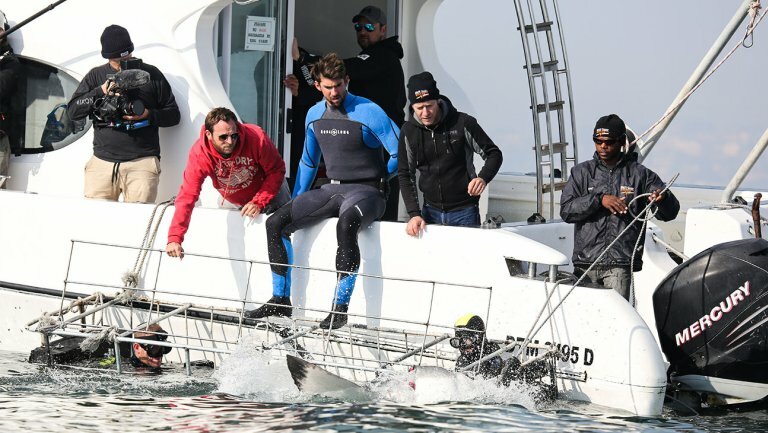 Tristan has a passion for asking questions about animal behavior, and has spent over a decade trying to learn more about the behavioral complexities of sharks. Why are sharks social? Can they learn from each other? From Discovery Channel Shark Week specials teaching Olympian Michael Phelps how to swim with sharks to working with the BBC for their flagship series "Shark", Tristan has a wonderfully natural and passionate way of presenting science to the public.